Share the post "Wild Plants You Can Eat"
There are dozens of wild plants growing all over the world that are safe to eat. Some of these plants could be life saving in a survival situation when there is nothing else to eat. So if you ever find yourself in the wilderness or without easy access to food, here are 7 wild plants you can eat without any worries. You might already be familiar with asparagus, a yummy green vegetable. While you’ve probably bought asparagus in the supermarket, you might not realize that you can often find it growing in your backyard. Wild asparagus grows routinely throughout North America, Europe, and parts of Asia and Africa. When you find asparagus growing wild, it will have a thinner stalk than what you see in the supermarket. You can pick these plants and eat the asparagus raw or prepare it like you have always prepared asparagus in the past: boiling it is a survival favorite because all you would need is a campfire for food preparation. You could also roast it over the fire in cast iron skillet. The stems of wild asparagus are impossibly tough, so it is better to trim off the tips and avoid the flowering stems which are not good to eat. This is as different from cultivated asparagus as you can get. 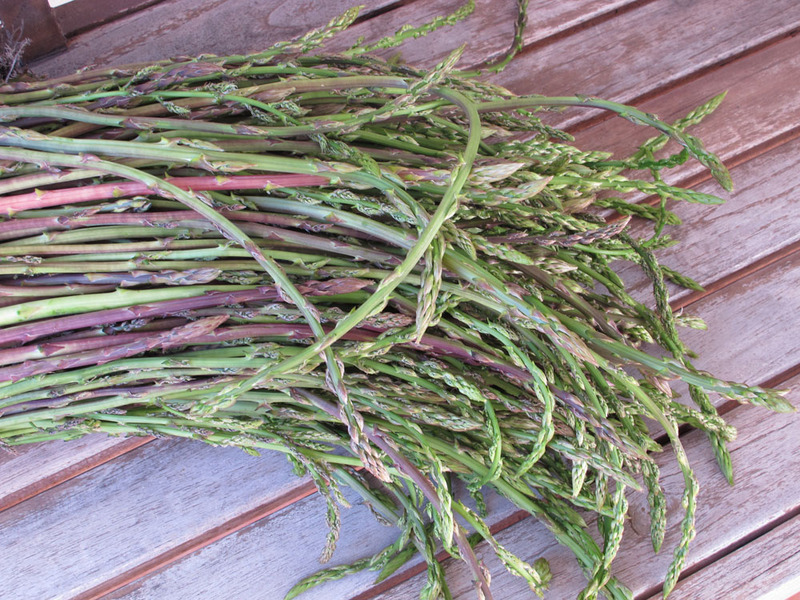 Some are green, some purple, some are as slender as grass, others are more recognizably asparagus… all of it is edible. Asparagus is an excellent source of Vitamin C. It will also provide you with Vitamin B6, Potassium, and Thiamine. Wild asparagus is often used for medicinal reasons in India. It is full of Saponins, which has anti-inflammatory properties and is also effective in fighting or preventing cancer. Eating wild asparagus can improve blood pressure, cholesterol, and even help with regulating blood sugar levels. Cattail is a very common plant, but it is known by many different names around the world. In North America, it is called cattail, but in England it is known as reedmace or bullrush. These plants are most often found near the edge or freshwater sources or growing in wet areas. 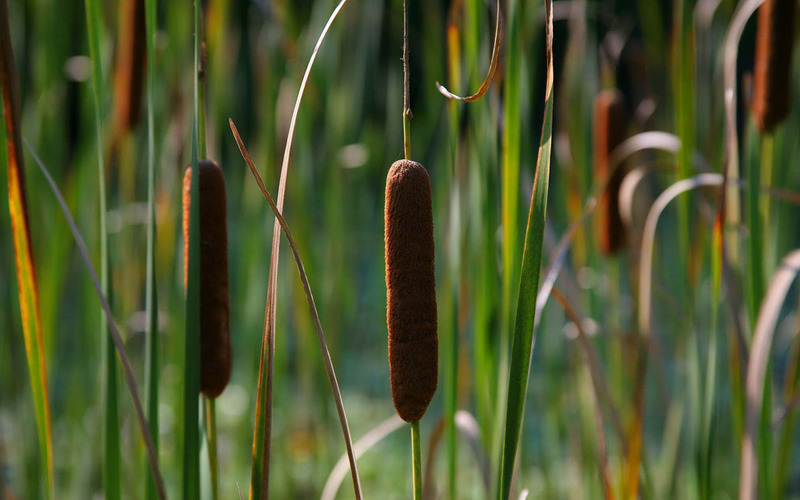 Native Americans used cattails for decades and almost every part of the plant is edible. You can pull up the roots, wash away the mud, and boil it or eat it raw. The lower stem is white and this is often the best part to eat, in terms of taste. While you can eat it raw, boiling it will cut the bitterness. You can even boil the leaves and prepare them in the same way you would use spinach. During the spring time, you can pull of the flower spike (it looks a lot like a corndog!) and eat it like corn on the cob. During the fall, the male part of the cattail plant will turn brown and form pollen inside. If you harvest this pollen, it can be used as a flour substitute. Cattail also has medicine qualities that are beneficial in a survival scenario. You can use the ground up rhizomes from the root to make a poultice to treat wounds or burns. You can also use the sticky sap-like juice between the leaves to make a primitive version of Novocain for numbing a toothache or other painful sores or bruises. Clover is found virtually everywhere. This plant is fully edible. You can eat them raw in a pinch or make a salad with them. Most people enjoy them more if they are boiled. 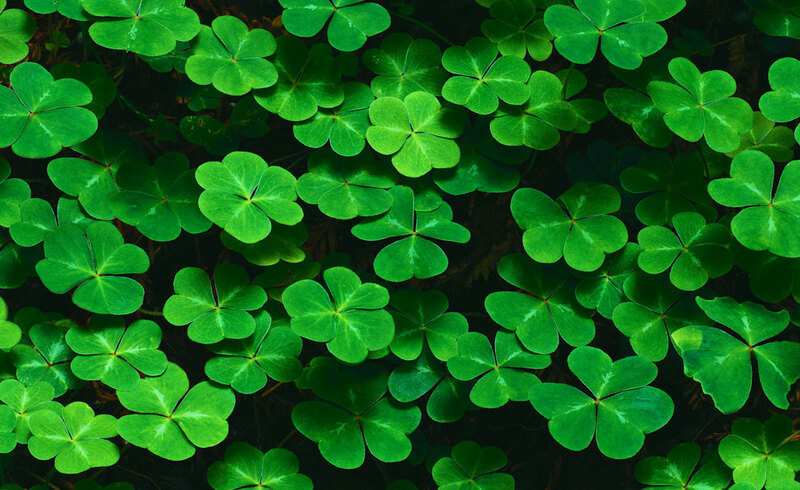 The best news is that clover is like free medicine right in your backyard. Red clover in particular has major health benefits. It can reduce inflammation and detoxify the kidneys, liver, lungs, and blood. It can decrease uric acid to help with gout. In a survival situation, clover would be a great treatment for bronchitis or asthma. It can sooth a cough and act as an expectorant. Chicory is easily available in North America, Europe, and Australia. It grows in a busy plant with small flowers that can be white, blue, or lavender. You can eat the entire chicory plant. Try boiling the leaves or the roots. You can also munch on the flowers for a quick snack. This is another plant with stunning medicinal properties. 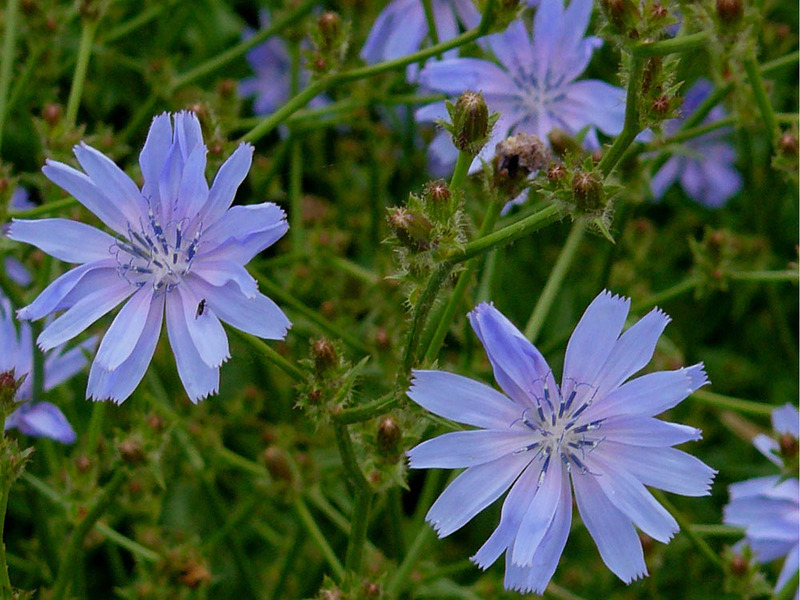 The ancient Romans used chicory to cleanse the blood. Egyptians relied on chicory for liver cleansing. Studies have also shown that chicory is effective for aiding digestion and it even acts as a natural anti-fungal. Read more about Chicory here (chicory history and uses). Dandelions are an excellent natural food source. You can eat the roots, leaves, and flowers. The leaves will taste better if you eat them while the plant is young. If you eat mature leaves, boil them first to remove the bitterness. Another option is to boil the roots to create a delicious Dandelion tea. 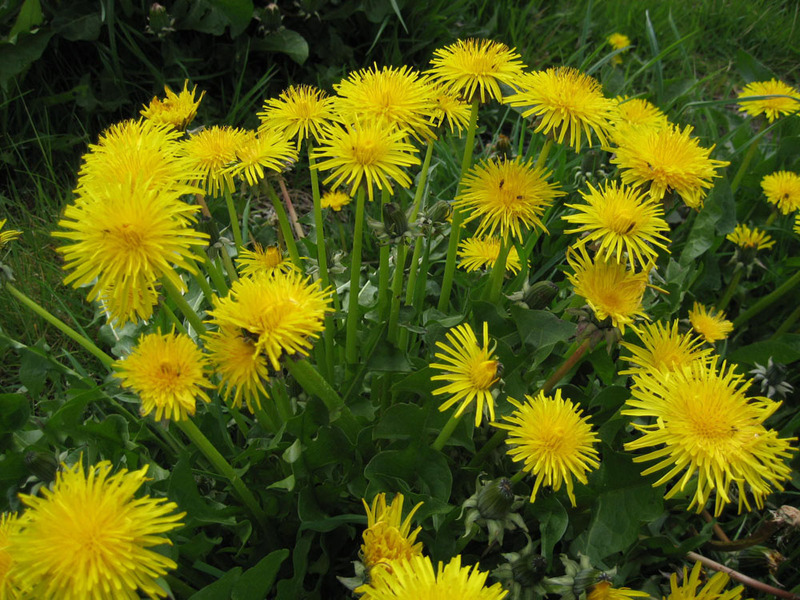 The nutritional and medicinal benefits of dandelion plants are almost endless. Those pretty little flowers can prevent and cure liver diseases like hepatitis or jaundice, detox and cleanse your system, aid digestion, dissolve kidney stones, eliminate acne, relieve diarrhea or constipation, cure anemia, lower cholesterol and high blood pressure, and help control diabetes. There are more than 100 different varieties of pine and all of them have nutritional and medicinal benefits. The easiest way to prepare pine is to boil the pine needles into a tea. 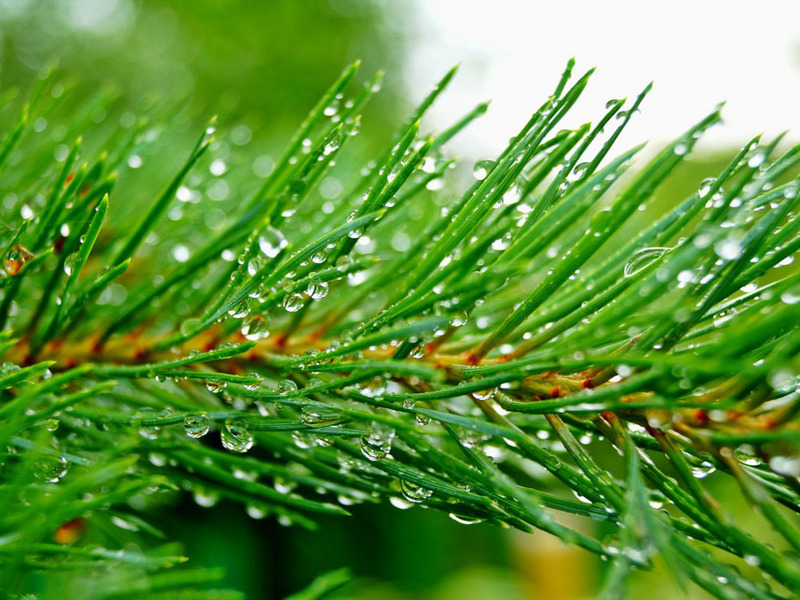 In ancient times, Native Americans relied on ground up pine as a treatment for Skurvy. Other health benefits include reducing fatigue, fighting heart disease, and improving eyesight and mental clarity. The smaller needles make the sweetest tea so brew up a cup and start enjoying the natural benefits! Another incredibly value edible plant is Kudzu. You can eat the leaves and flowers of a Kudzu plant raw or boil them. The root is also edible. You can find Kudzu in Asian and all over the eastern United States. It spreads quickly and some farmers treat it as a weed because it can quickly grow out of control. If you learn to identify it correctly, this plant can be easy to find and a great source of food and medicine. 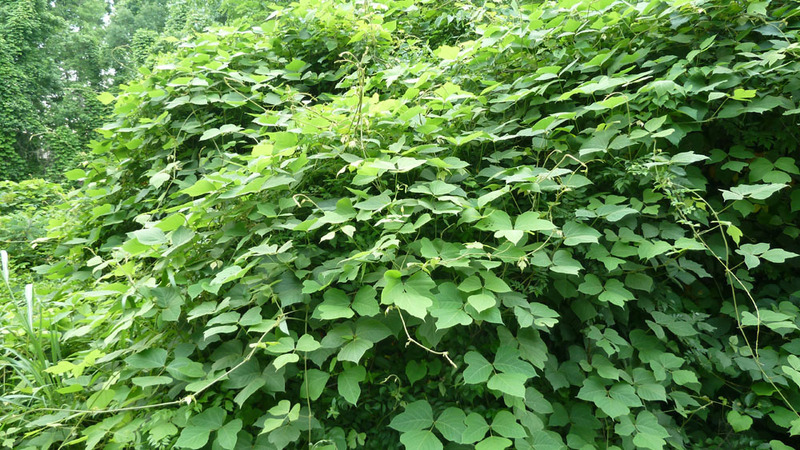 Kudzu has been a staple of Chinese medicine for hundreds of years. Kudzu is helpful for fighting headaches, reducing dizziness, and aiding digestion. This plant also works as a natural beta blocker to reduce stress and decrease hypertension. As you can see, there are many benefits to foraging for food in the great outdoors. It’s not only a survival skill to prevent starvation, but it can also be a great medicinal benefit too! Take a look around your backyard and see if you can spot some of these plants.